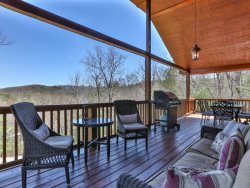 Appalachian Escape-10 Minutes from Downtown Blue Ridge! Privacy is not something to take lightly these days and we take yours very seriously. If you choose a direct payment gateway to complete your purchase, credit card data is stored through an encrypted Payment Card Industry Data Security Standard (PCI-DSS). Your purchase transaction data is stored only as long as is necessary to complete your purchase transaction. We do not have access to your complete credit card number as it is not visible to us for your security. When you click on links on our company, they may direct you away from our site. We are not responsible for the privacy practices of other sites and encourage you to read their privacy statements.